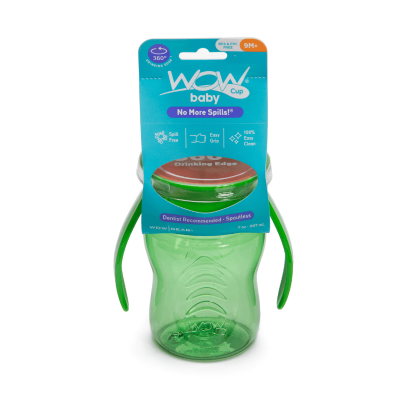 Perfect for teaching your toddler to drink in the upright position. 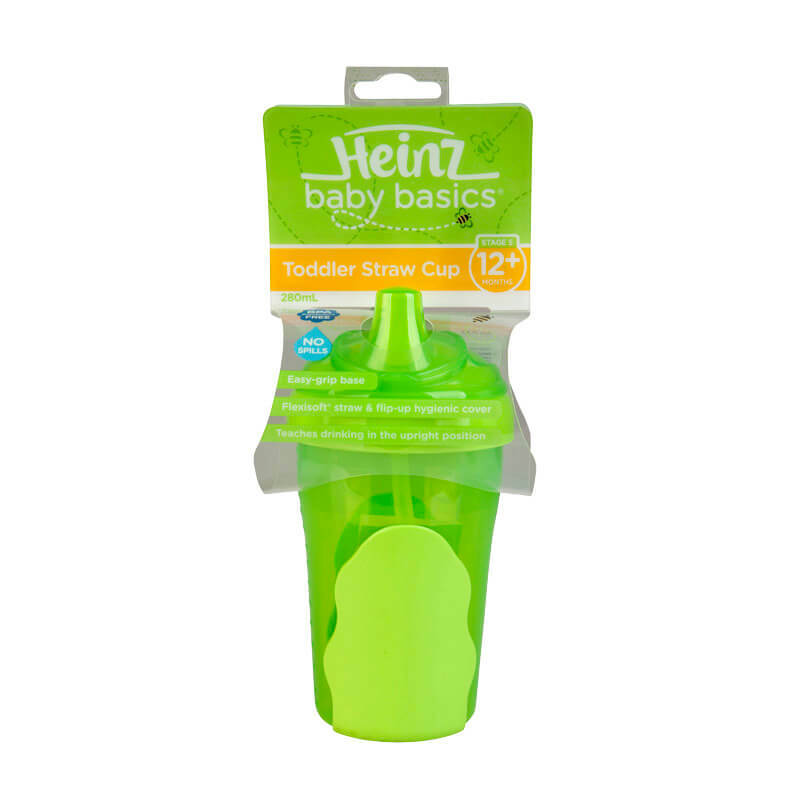 The Heinz Baby Basics Toddler Straw Cup has been cleverly designed to provide a smooth drinking action and comes complete with a screw-on lid, flip-up straw spout cover and a non-spill valve that will help avoid messy leaks and spills. 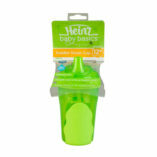 The Flexisoft coated straw-spout, grip and base are gentle on toddlers little mouth and hands. 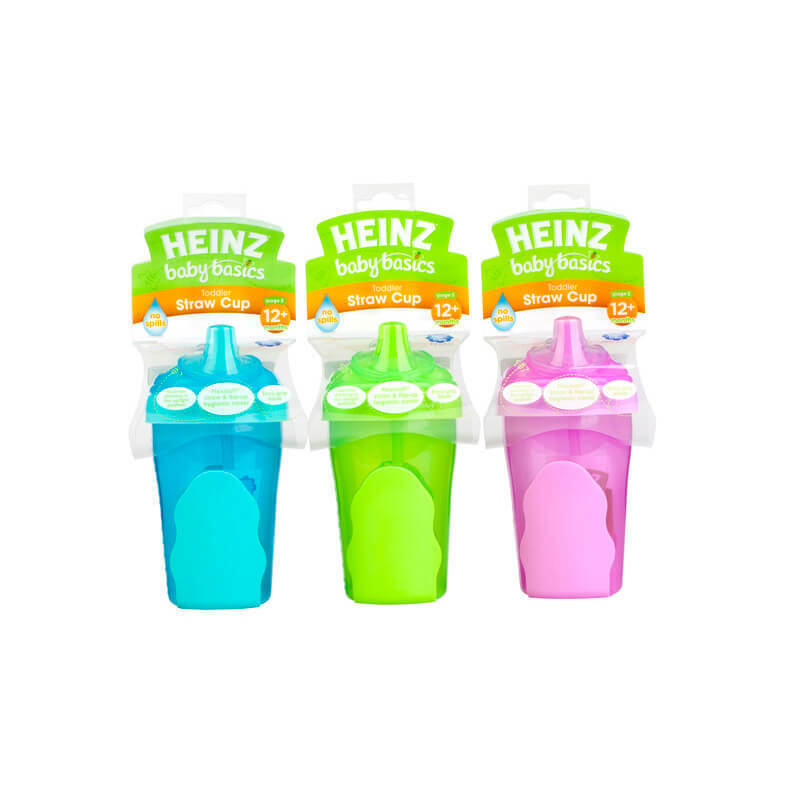 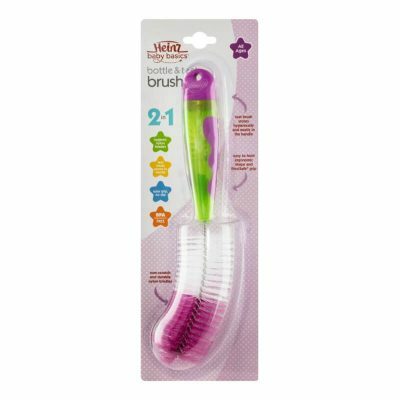 Available at Supermarkets, Discount Department stores, leading Baby stores and Pharmacies.